I am waiting to board our small aircraft in the simple but functional boarding lounge in the Beira airport. The first time I came to Gorongosa was really just a few years after the civil war ended. Since then I have returned to Mozambique a number of times, but a chance to revisit this park now has got me really excited. Established on the 23rd of July 1960, the Gorongosa National Park is a vast national park in the northern reaches of Mozambique. In its infancy, the then 530 000 hectare (1,3 million acres) park, attracted visitors from all walks of life, including notable celebrities of the day in John Wayne, Joan Crawford and Gregory Peck. The heydays were not to last however, as first a war of independence, followed by a civil war and illegal poaching tore into the wildlife and conservation efforts here. 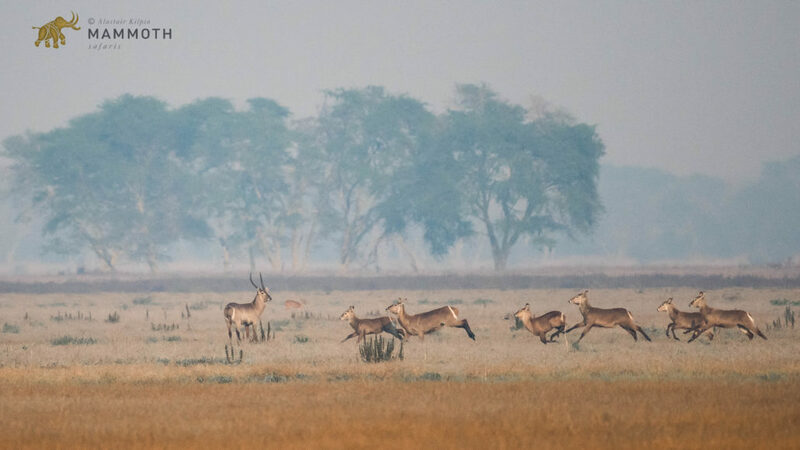 From 1965 until the early 1990’s, Gorongosa was all but decimated as a conservation area. It was only in 1992 that things began to look up for the wasteland that once was a wildlife haven, when the African Development Bank, in collaboration with the International Union for the Conservation of Nature (IUCN) and the European Union promulgated a 5-year plan to rebuild and restore the area. The restoration stuttered and spluttered through the 90’s and into the early 2000’s, with game being relocated here in sizeable numbers only in 2006. 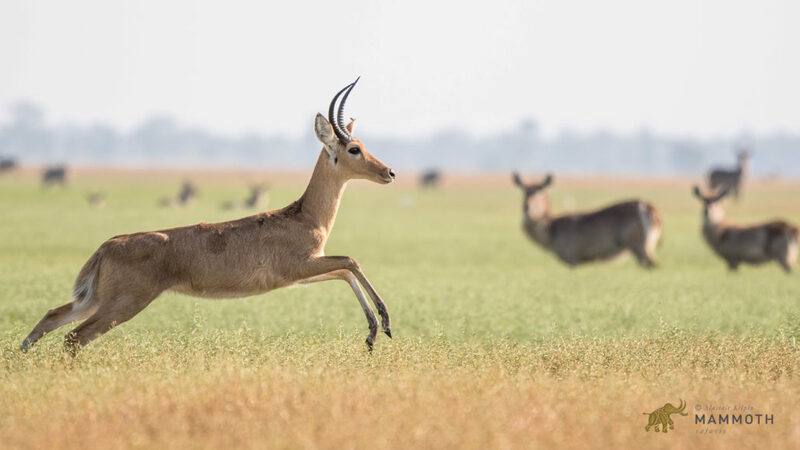 In 2008 a pioneering public-private partnership was entered into to drive progress here for the next 20 years under the auspices of the Mozambican government and the Carr Foundation/Gorongosa Restoration Project. Today, Gorongosa is very much the phoenix rising, and it is this phoenix which I’ll be exploring with some intrepid folks from Idaho! Experiencing the landscape from above is always special. 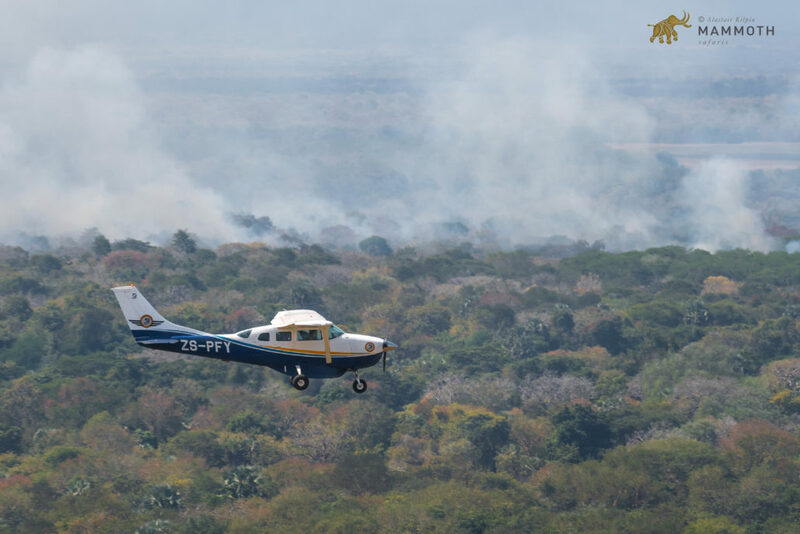 The flight into Gorongosa is a brief but beautiful 30 minutes with rivers, floodplains, woodland and the dry season fires. Montebello Hotels have taken on the running of what is currently the only accommodation in the park. 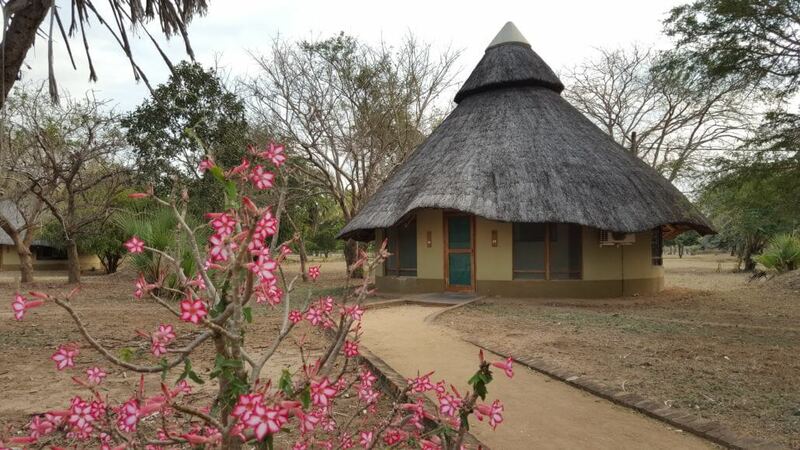 Simple but smart bungalows are set in the old Chitengo camp grounds and the restaurant delivered plenty of good food and cold beer. The impressive Common Waterbuck are the most numerous large animals in the park. An estimated 40,000 or so call Gorongosa home, the largest population of this species to be found anywhere! Common Reedbuck are easily found all around the fringes of Lake Urema and the floodplains. They are particularly adept at spotting the lions which come to hunt on the woodland/wetland edges. 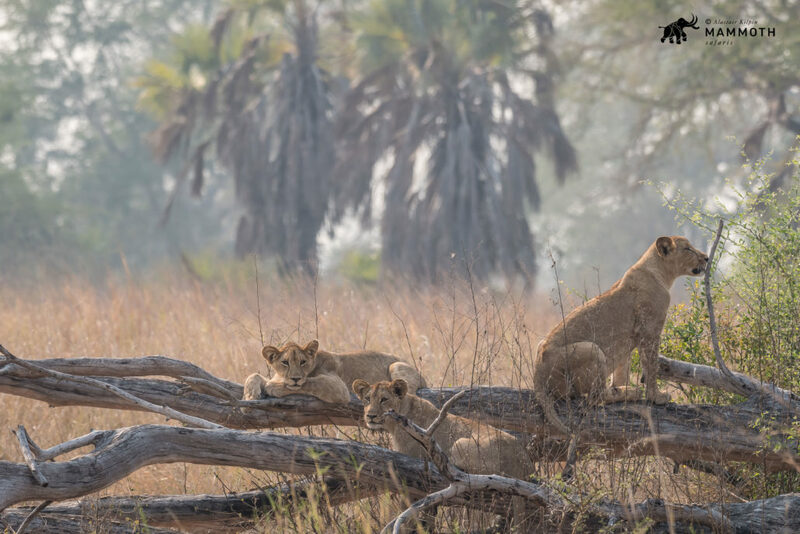 The palm-fringed woodlands harbour a growing population of lions which have recovered to over one hundred in number. We found these young ones relaxing one morning. Another super lion sighting was two big males roaring in the dark right next to the vehicle! 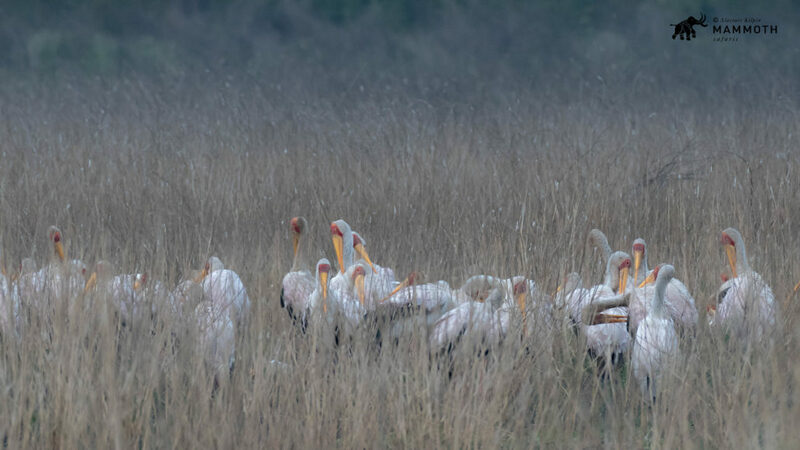 These roosting Yellow-billed Stork are just a handful of the tens of thousands of waterbirds that live around Lake Urema. We found Pelicans, Pratincoles, Darters, Ducks and so much more in fantastic numbers. 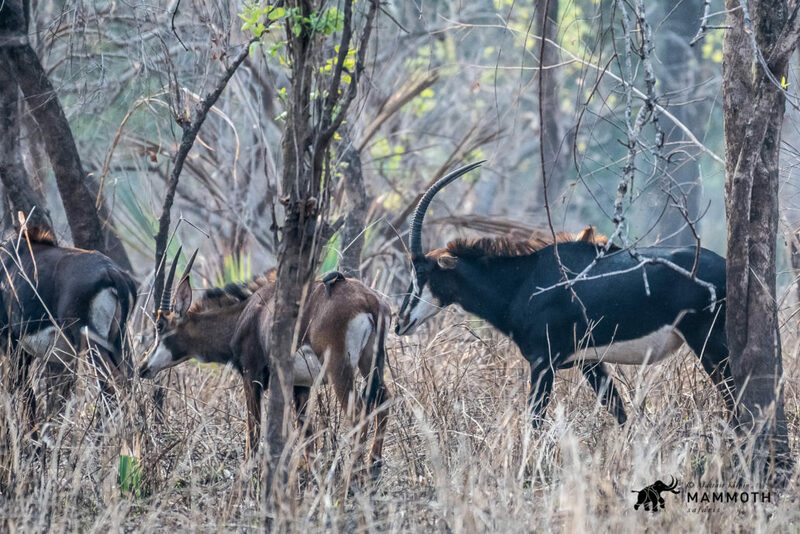 The exquisite Sable Antelope seem to stick to the well-wooded areas, so photographing them was not easy! No one missed a drive! With the roof off to do some birding, our enthusiastic guides showed us a lot and kept us looking for more. 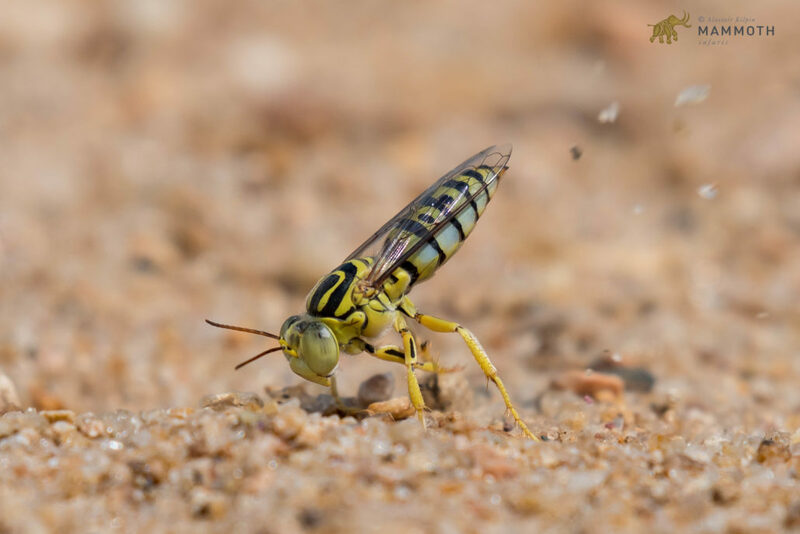 Whilst exploring the banks of the Pungwe River, we came across a colony of Sand Wasps. This one was excavating a new nest hole. 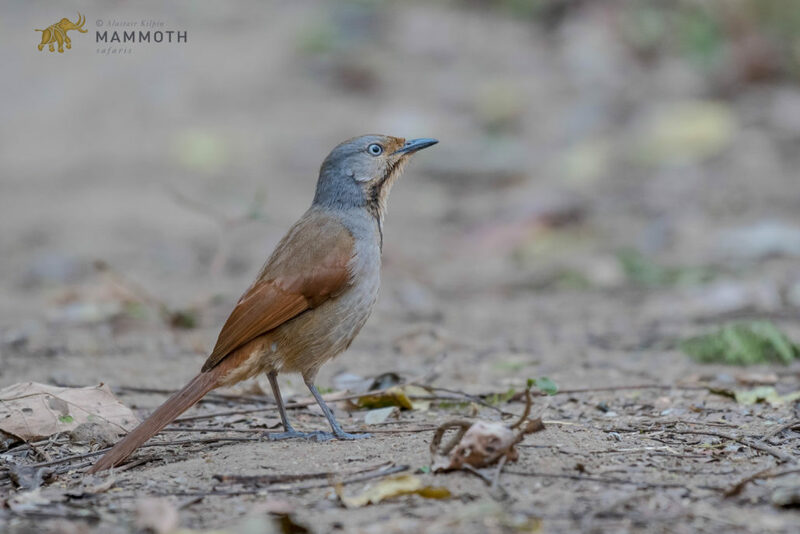 The Collared Palm-thrush is one of the best singers in camp. Miombo. 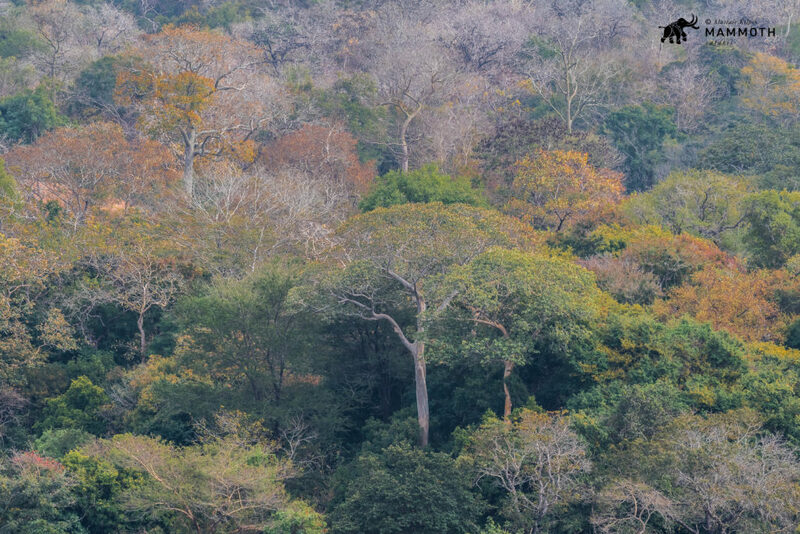 This colourful woodland is found throughout south-central Africa. It contains various teaks and other hardwoods. These woodlands harbour many special birds which we went in search of. 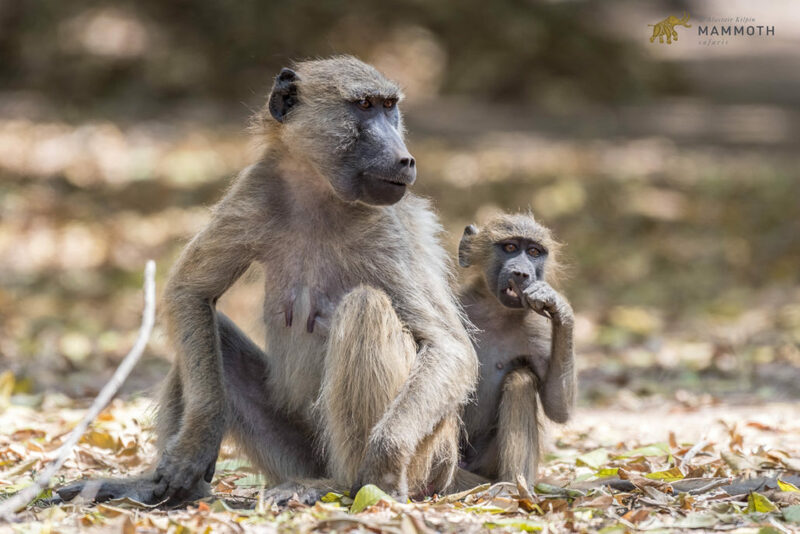 Baboon viewing at Gorongosa, especially at the camp, is very good. The ones here appear to be an intergrade of the Chacma from down south and the Yellow from further north. A trip to Gorongosa really should be added to the seasoned safari-goers bucket list and can very well be considered as an enticing option for the “first timer” too. It is a wilderness experience that offers a great deal, from the excitement of the endeavour of discovery, to the actual discovery itself. 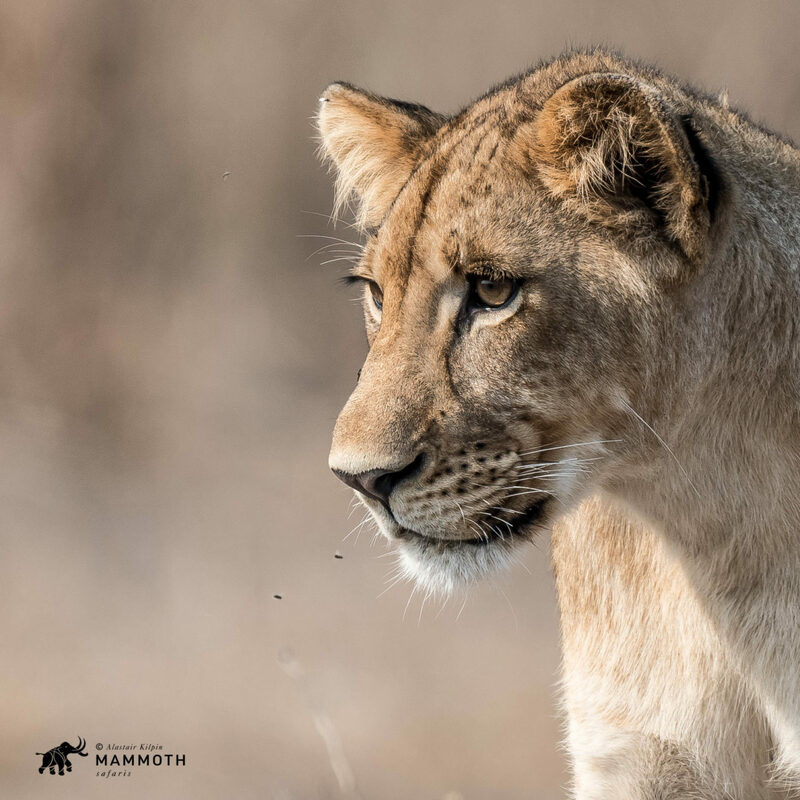 It certainly seems that despite the many challenges the Gorongosa Restoration Project faces, that progress is being made. Real people are working hard to make a difference here by involving the many communities surrounding the park, doing the hard yards in the science lab and raising much needed funds. We can certainly recommend a safari to this park to anyone with a photographic bent, an interest in real practical conservation, wide open spaces and a love for Africa! Thank you to the intrepid travellers from Idaho for coming all this way! Contact us now to sure up some of the very limited space in the Gorongosa wilderness. Book your adventure and an amazing safari as soon as possible. 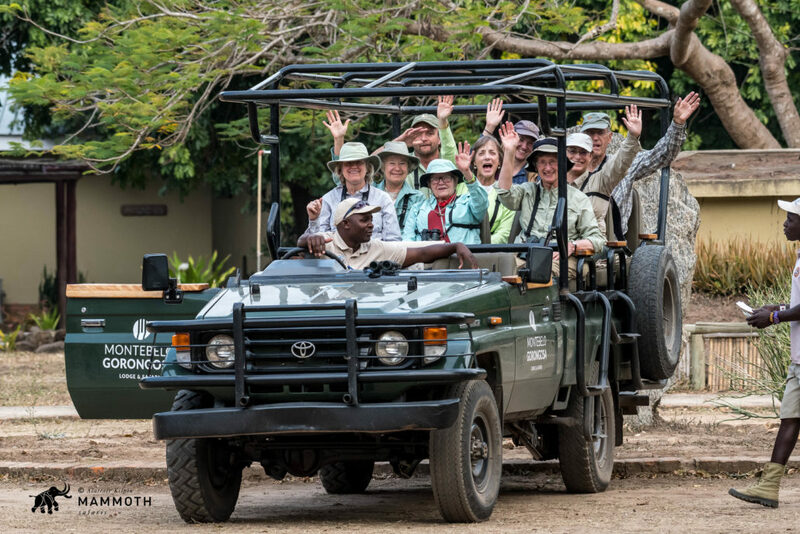 Please contact a member of our sales team by sending an email to info@mammothsafaris.com and visit www.mammothsafaris.com for more destinations and journey ideas.